Special to the Daily/Vail ResortsBill "Sarge" Brown, the longtime Vail Mountain manager who died Sunday, demanded perfection on the slopes, former employees say. Brown ran Vail Mountain from 1970 through 1989. VAIL, Colorado” Perhaps Bill “Sarge” Brown wasn’t physically big, but he sure seemed that way, Bob Dorf said. Brown, who managed Vail Mountain for two decades, died Monday at the age of 85. Friends and former employees had no shortage of stories about the retired senior sergeant major who ran the mountain with clockwork precision and lofty standards. Dorf remembered one day when the women of the French ski team were continually cutting in line at Chair 2 as they trained on the mountain. Brown got wind of it and ordered the lift to be stopped while the team was suspended above the Pickeroon trail. Brown was below, waiting for them. “Sarge gave them a small lecture on how we do things on his mountain,” Dorf said. Brown curtly explained the concept of alternating, Dorf said. Chupa Nelson, a longtime local resident, was on ski patrol when Brown arrived at Vail. The free-spirited patrollers weren’t quite used to Sarge’s discipline. “He certainly let you know who the boss was, and if you didn’t like it, you could hit the road,” Nelson said. But he imbued a sense of professionalism to ski patrol, and did a lot to support the crews that worked on the mountain, Nelson said. Brown had a bit of a soft side, too, that sometimes became apparent, acquaintances say. Nelson remembered finding some old climbing pitons at Camp Hale, where Brown had trained with the 10th Mountain Division in the early ’40s. Brown was a veteran of both World War II and the Korean War, earning five Purple Hearts, two Silver Stars and three Bronze Stars. He rose to the rank of senior master sergeant, the highest noncommissioned rank in the Army. Tom Steinberg, a longtime Vail resident and fellow World War II veteran who was Brown’s doctor for many years, said he didn’t think Brown wanted to be an officer. And, Steinberg said, Brown brought that attitude to Vail Mountain, where he outlasted numerous top executives during his tenure as mountain manager, from 1970 to 1989. “‘I’ll take care of the people and the details on the mountain,’ that was his attitude,” Steinberg said. But that doesn’t mean the owners and executives didn’t have the utmost respect for the man. 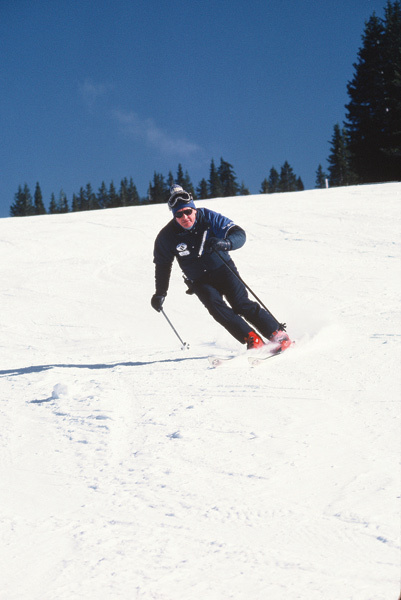 George Gillett, owner of Vail Associates from 1985 to 1992, said Brown brought the 10th Mountain values to the modern ski industry ” and the modern world at large. Brown was utterly committed to giving guests an outstanding experience at Vail Mountain, Gillett said. Brown was a key player in bringing to Vail World Cup skiing in the early ’80s, and then the World Alpine Skiing Championships in 1989, said John Dakin of the Vail Valley Foundation. “When Bill and the foundation and everybody decided that World Cup would be a key element of the skiing legacy of the Vail Valley, they went after it like it was a battle,” Dakin said. Staging the 1989 championships helped the Vail Valley establish international skiing credibility that lives on today with the yearly Birds of Prey World Cup race in Beaver Creek, Dakin said. Dakin recalled Brown ” known for demanding punctuality from his employees ” wearing two watches when he traveled to Europe for ski-race lobbying trips, one with the European time and one with Colorado time. “So that he always know what time it was at home and what time it was where he was going,” Dakin said.